1. Increased profitability for law firms. 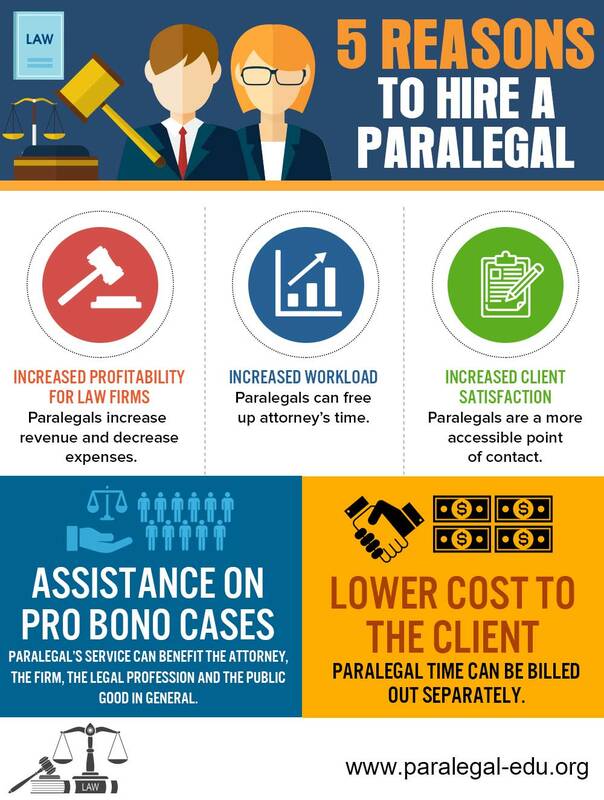 Paralegals increase revenue and decrease expenses. 2. Increased workload. Paralegals can free up attorney’s time. 3. Increased client satisfaction. Paralegals are a more accessible point of contact. 4. Assistance on pro bono cases. Paralegal’s service can benefit the attorney, the firm, the legal profession and the public good in general. 5. Lower cost to the client. Paralegal time can be billed out separately. Content writer and guest blogger at Paralegal-Edu.Org.